Malaysia | Where have we gone wrong? As the ruling party gears up for its general assembly later this week, the party’s growing disconnect with reality is all too evident. Prime Minister Najib Tun Razak, the UMNO president, asked, with his usual rhetorical flourish, “where have we gone wrong,” as if genuinely surprised why all the good and wonderful work that he thinks his party has done over the years has not translated into the undying gratitude of Malaysians. If he has to ask the question, it shows just how out of touch he, and the party he leads, is with the situation in the country and the mood of the people. The question also speaks of the inability of the party leadership to understand the true aspirations of the people it has led for more than half a century. The Prime Minister’s answer to his own question — that the problem lies with a few miscreants in the party — shows how shallow the leadership’s thinking is on this matter. 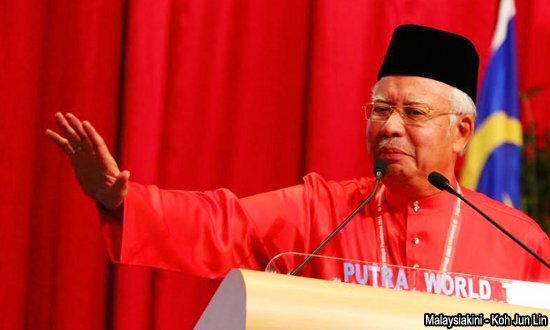 Where has UMNO gone wrong? UMNO went wrong when it allowed corruption and greed to go unchecked and corrode almost every facet of our national life. Corruption is today a heavy burden upon the nation, siphoning off billions of dollars from development and nation building and making it hard for ordinary Malaysians to build a decent life for themselves and their families. UMNO went wrong when it became the party of cronies who enriched themselves at the expanse of the vast majority of Malaysians who work hard but find it increasingly difficult to make ends meet. UMNO leaders blame the lazy attitude of the Malays or the avarice of the Chinese but the fault is not with the people, whether Malay, Chinese or Indian, but with a corrupt economic system that favours the few and disenfranchises the rest. Malaysians work long and hard but increasingly find it hard to earn a decent living because the system itself is exploitative and fundamentally unjust. UMNO went wrong when it abandoned the high road of trying to build a nation based on justice, equality and freedom for all and instead opted to exploit racial and religious differences to win support. They had a wonderful opportunity of building a truly great nation, a nation that might have been the envy of others but they squandered it and left the nation more divided than ever. UMNO went wrong when it played politics with our education system. Instead of building a world-class education system that could carry the nation far into the future in an increasingly competitive and borderless world, it compromised standards for the sake of political expediency and left us with a broken system which everyone, including UMNO politicians, no longer have confidence in. The elites send their children to private schools while the rest are condemned to substandard education. UMNO went wrong when it turned our national institutions into party appendages. Once we had an outstanding bureaucracy, a judiciary to be proud of, a police force that was professional and effective but all these are memories now, courtesy of UMNO. The Prime Minister should know that token gestures like BR1M will not cut it. What the people want is not paltry handouts but a fairer system of wealth distribution that favours the ordinary, hard-working citizens of Malaysia instead of the privileged few who have already plundered billions in one scandal after another with near total impunity. There is absolutely no reason why Malaysia cannot be that nation that we all want to see – strong, democratic and free, with safe and secure streets, with a world-class education system, an honest and efficient bureaucracy, a fait and impartial justice system, decent healthcare and a better quality of life for all. Responsible and responsive governments in other countries have been able to meet these same needs with far fewer resources and talent than Malaysia. All that is required is political will and a genuine desire to serve the people. Regretfully, UMNO has not shown that it has either and that is the real problem. Expect, therefore, more of the same from UMNO – the politics of fear and division instead of real solutions to the urgent problems that confront our nation. I suspect the Prime Minister knows full well why UMNO has lost support but he has neither the strength of character nor the political acumen to reverse the decline. Malaysia deserves better.